Springer's research involved putting a lit cigarette or marijuana joint in a plexiglass box with anesthetized rats. When exposed to tobacco smoke, the rats' arteries had difficulty expanding for about 30 minutes. 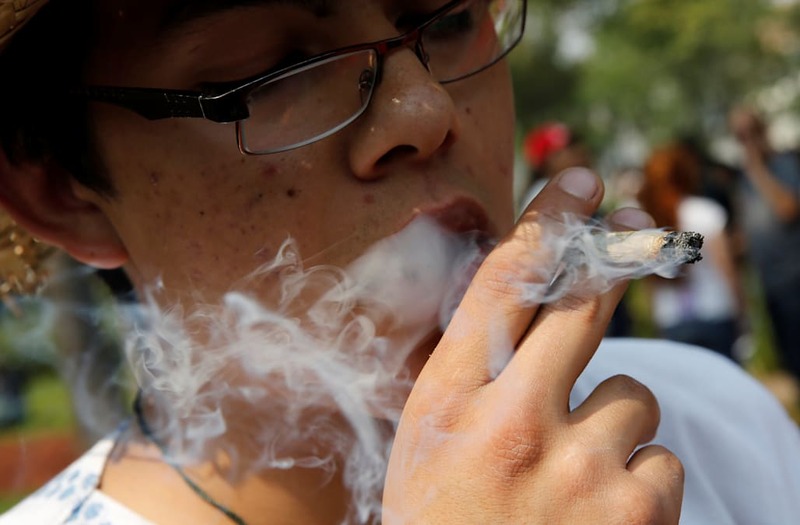 However, when exposed to marijuana smoke, the arteries took about 90 minutes to return to their normal function. "People think cannabis is fine because it's 'natural,'" Springer told NPR. "I hear this a lot. I don't know what it means." He said tightly controlled marijuana, which has been tested, has less chemicals than cigarettes. However, any smoke is bad for the lungs, heart and blood vessels. Springer said people shouldn't think of the research "an anti-THC conclusion," referencing the active ingredient in marijuana, rather "an anti-smoke conclusion." Plenty of research has been done on the effects of secondhand tobacco smoke, but little is known about long-term effects of secondhand marijuana smoke, making Springer worry the lack of research makes people think secondhand marijuana smoke is OK.
"We in the public health community have been telling them for decades to avoid inhaling secondhand smoke from tobacco," Springer told NPR. "We have not been telling them to avoid inhaling secondhand smoke from marijuana, and that's not because it's not bad for you – it's because we just haven't known. The experiments haven't been done."